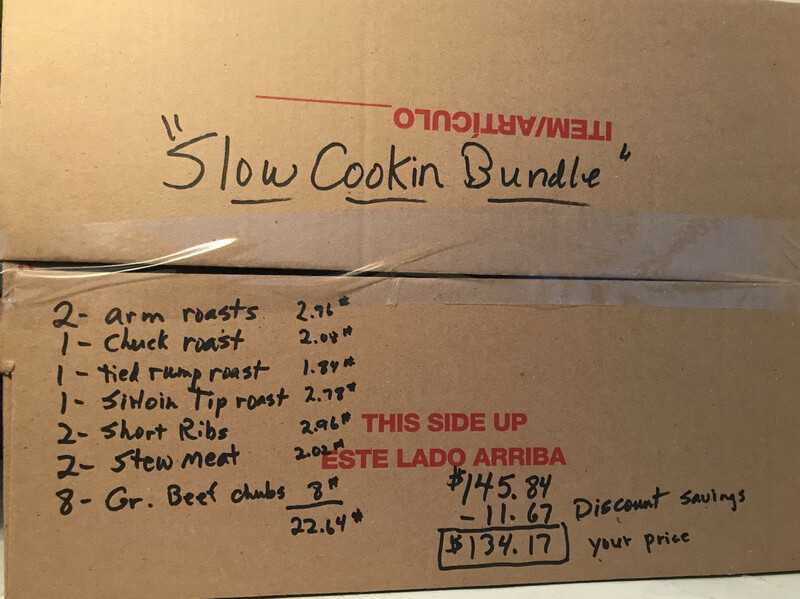 Box has 2 pkgs of Short Ribs, 1 Chuck Roast, 2 Arm Roasts, 1 Sirloin Tip Roast, 1 Tied Rump Roast, 2 pkgs of Stew Meat and 8 one lb. chubs of Ground Beef. The box will vary in weight due to the variety of weights of individual cuts. All weights are tallied and an 8% discount is then applied.